A Peek at the Fun: Finding fun and creative birthday gifts is tricky sometimes, but we are here to help! 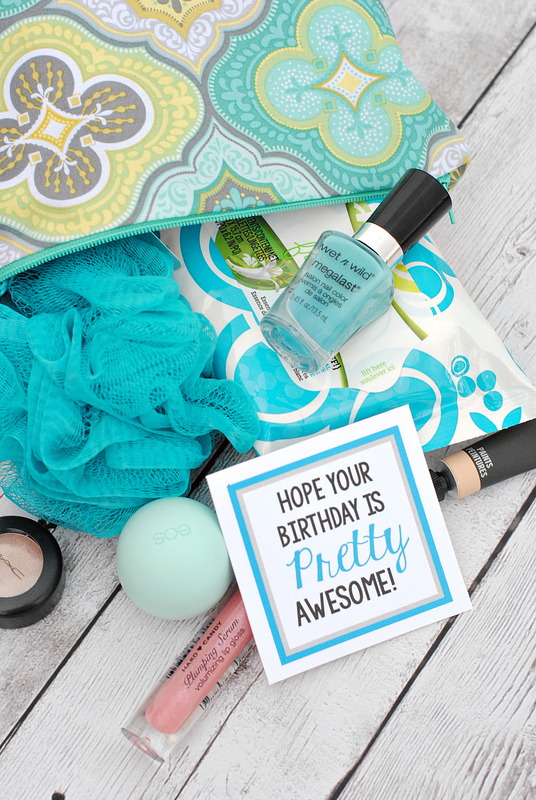 If your friend has a birthday coming up, we have some awesome ideas for you. Birthdays are so fun, and celebrating them with friends is even better! 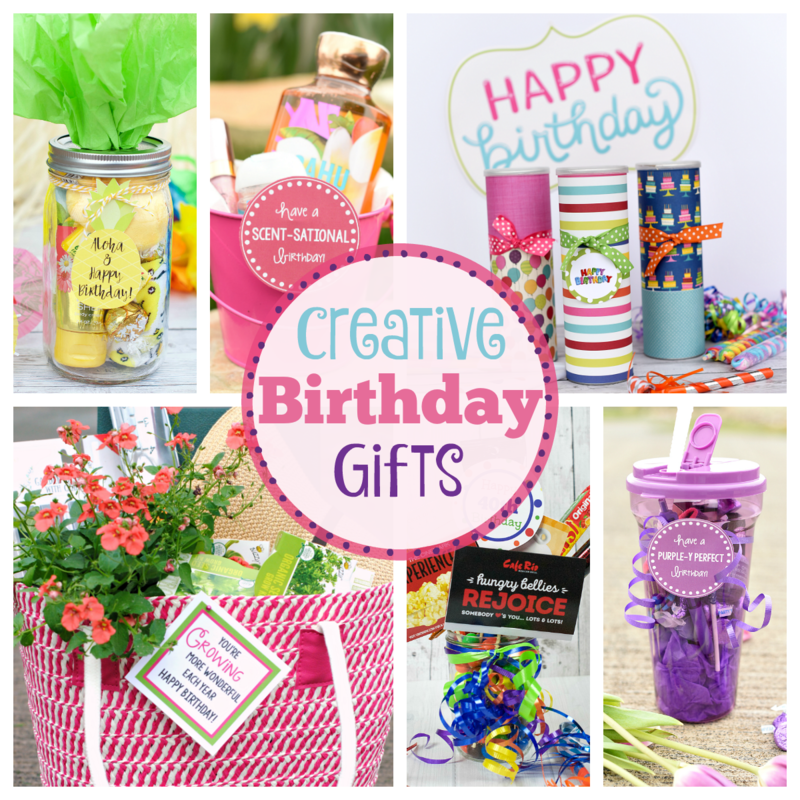 Deciding what to give your friends is sometimes tricky, but we have so many fun and creative birthday gifts for you choose from. These great gift ideas have so many possibilities, all you need to do is decide which gift your friend will love! Do you have a friend who loves lotions, bubble bath, lip gloss…pretty much all things with yummy smells? This is the perfect gift for her. With so many possibilities it’s a fun gift to put together. 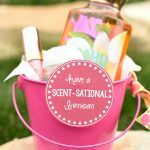 Start with your friend’s favorite scents and products and you will be able to put together a fun “Scent-Sational” gift basket of your own. 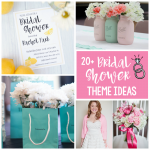 We love these types of theme gifts because they are so fun and creative! If your friend loves purple then look no further, this is the gift for her. We started with a fun water bottle (found at our local dollar store) and started to fill it with fun purple items. 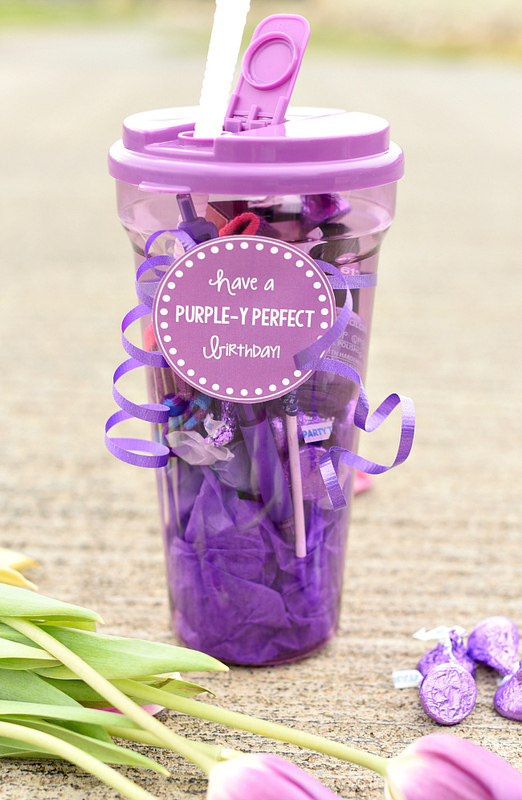 You can also use a purple bag, purple pail, or purple basket for the base of this present. 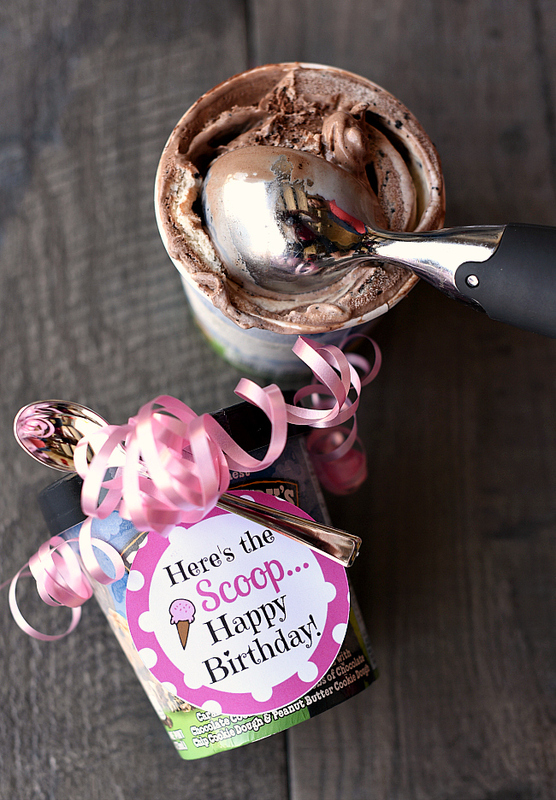 Add the cute printable tag and you will have a very fun and creative birthday gift. Does your friend love to pamper herself, or does she need to learn the art of pampering herself? Try giving her this awesome pedicure gift and see how much she will love it. 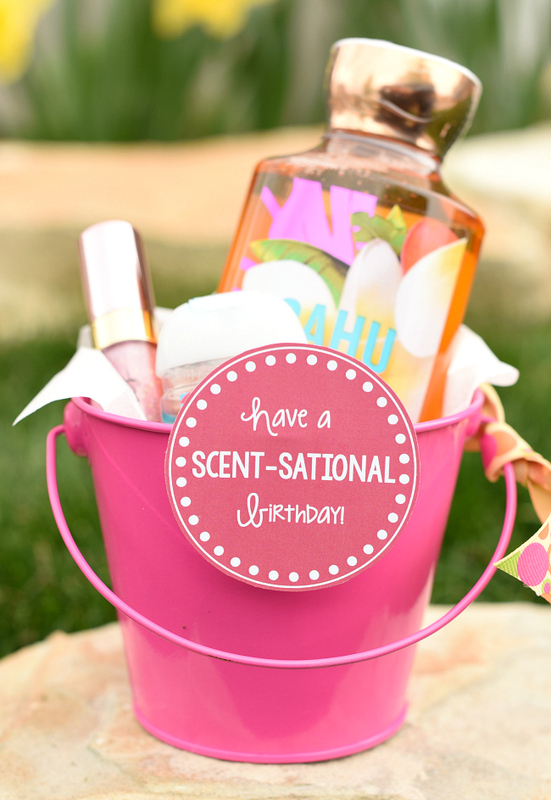 Just grab all of the pedicure essentials and put them in a fun pail, basket, bag, or even a mason jar and your gift is ready to go. This is so fun, you should probably buy double of everything and pamper yourself too! This is a gardener lover’s dream gift! Seriously if your friend has a green thumb, she needs this gift. Filled with all things needed for a beautiful garden, and we know she will love this. 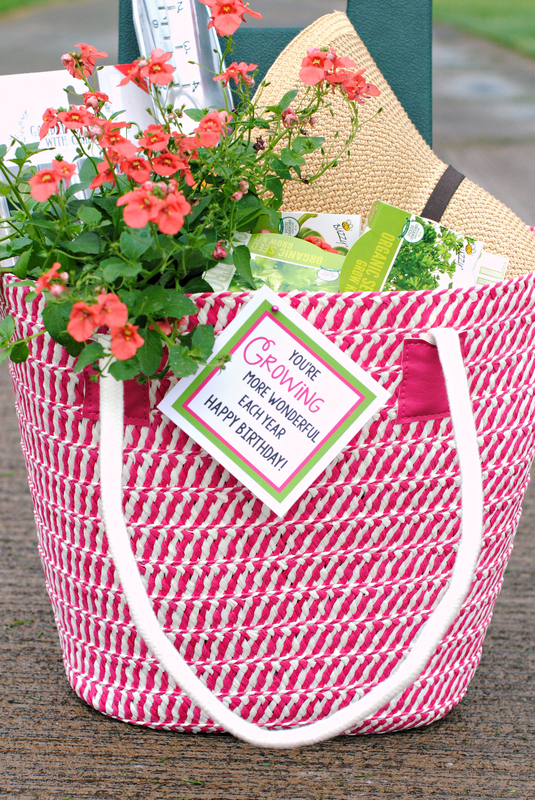 We put everything in this fun summer bag, but you can assemble your gift in a basket, a watering pail, gift bag, or anything you think is fun. This gift tag could also be used to put on a plant, tree or flower basket which would make a great gift as well. Who wouldn’t absolutely love this “pretty” awesome birthday gift? This is for the gal who loves all things makeup. We started with this adorable makeup bag and then just started to fill it with fun items. Add our cute printable tag and you are set to go. 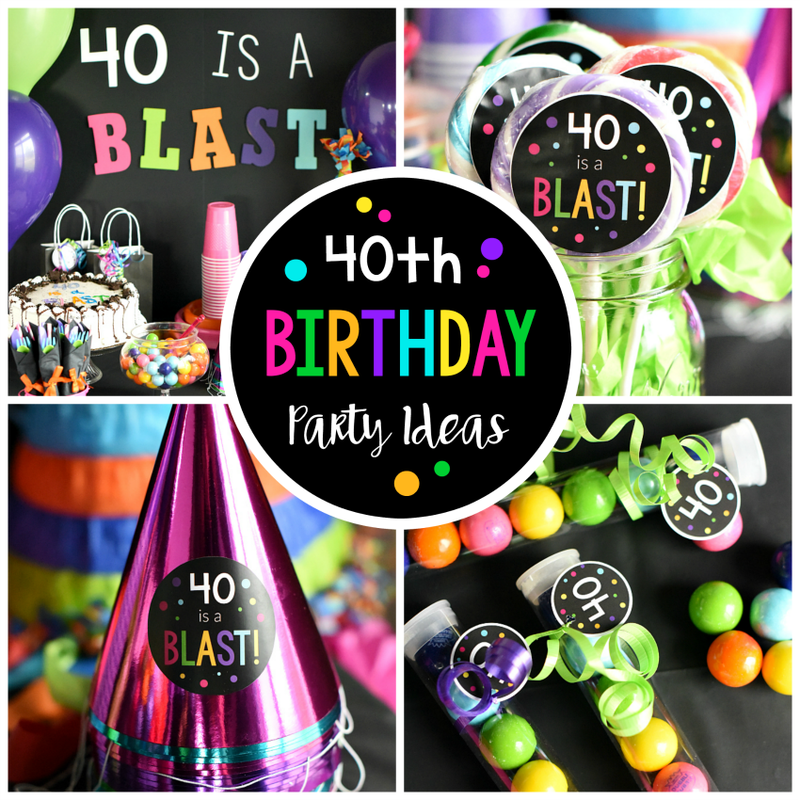 Similar idea to the 40th birthday gift, but this one is designed for any birthday celebration. You can use a mug, mason jar, or any fun container you find. Super simple and super fun. Do you have a friend who is in love with donuts? 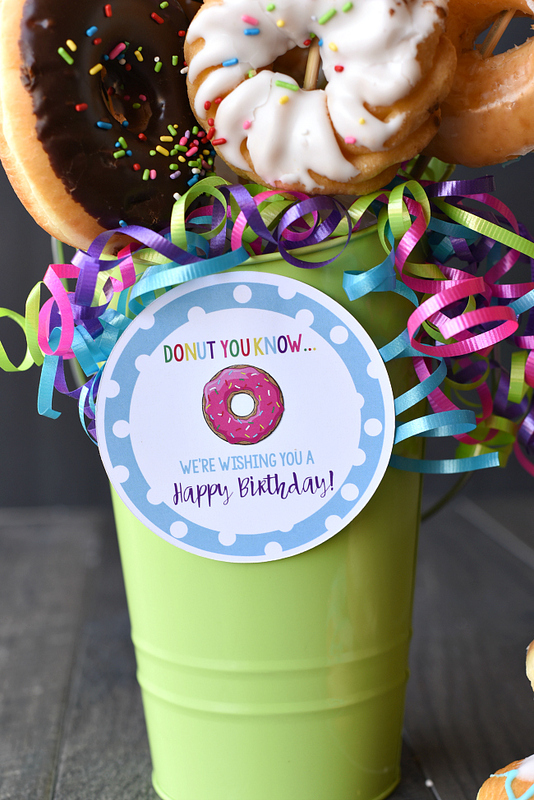 This donut bouquet is such a fun idea for anyone celebrating their birthday. We love this gift idea because it is budget friendly but so bright and fun. This makes the perfect gift if you are struggling to know what someone would love because EVERYONE loves donuts…right?! This idea has more to do with the presentation of the gift than the gift itself. This is a fun and creative way to present whatever you want to give. 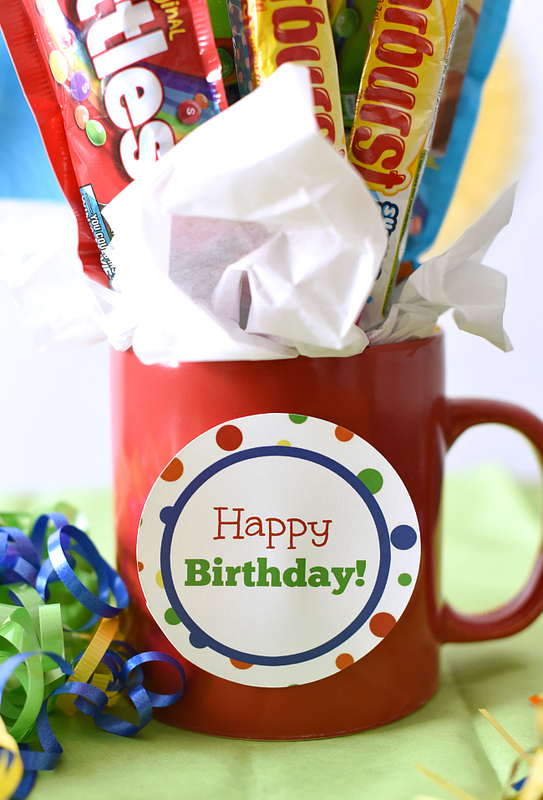 Using a Pringles can, you can create a clever way to say happy birthday. Fill it with all kinds of items…really endless possibilities. Who doesn’t like a night out at the movies? 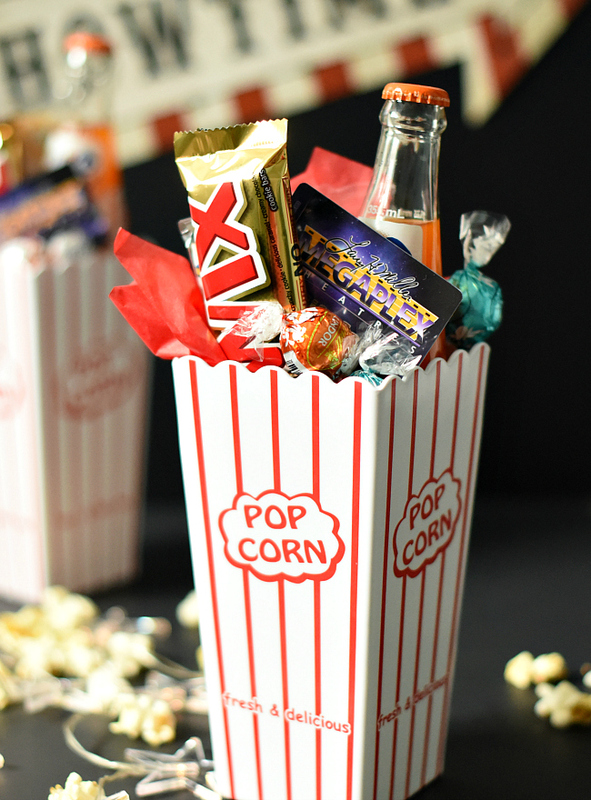 This movie gift basket gives everything needed to enjoy a fun night out! You could also give a gift card for Redbox and let your friend enjoy a night at home. Either direction you go with this gift, it’s sure to be a blockbuster gift idea!! Give your friend the gift of ice cream, because is there anything better? 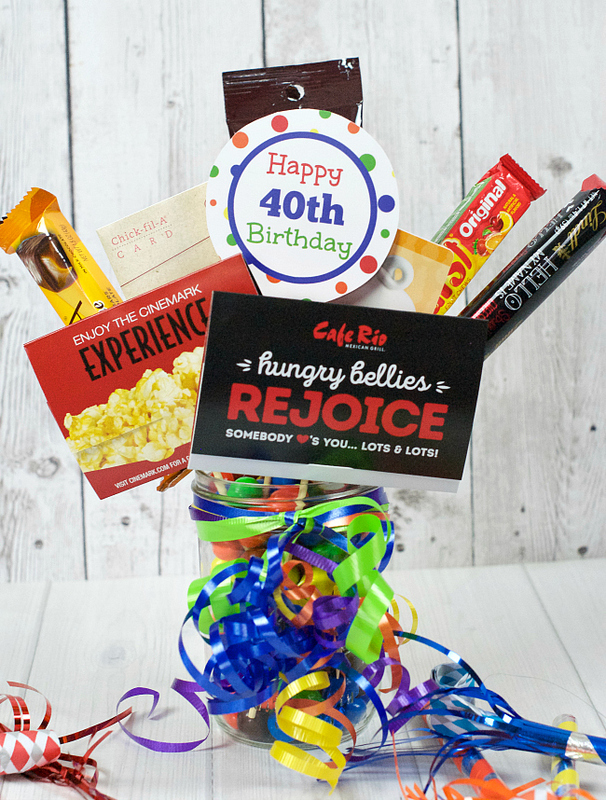 This is perfect if you are wanting to wish someone a quick happy birthday, do it with a little flavor! Perfect for work friends or neighbors, or really anyone who loves ice cream. Keep reading, we have more! 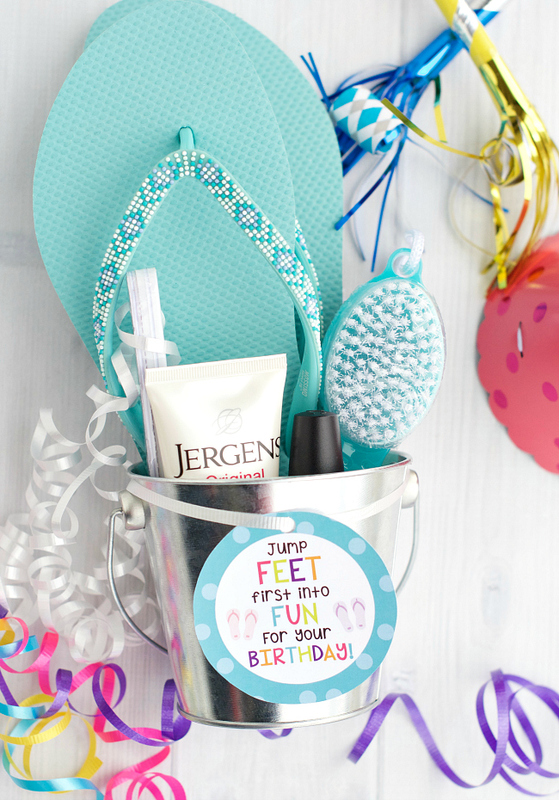 This is such a bright and fun birthday gift idea, we absolutely love it. 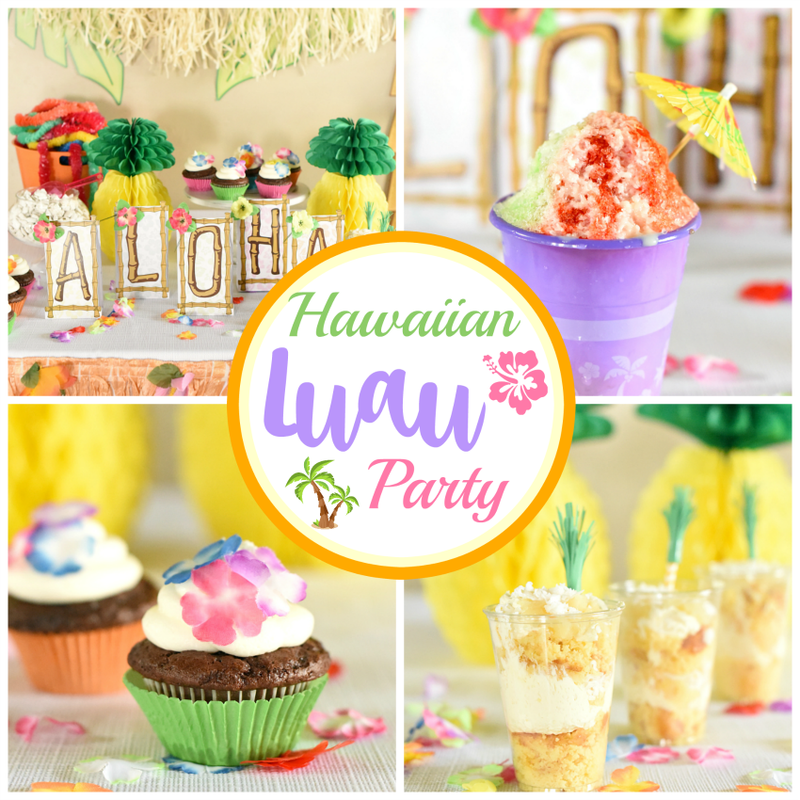 This Hawaiian theme is a perfect way to say happy birthday to your friend. 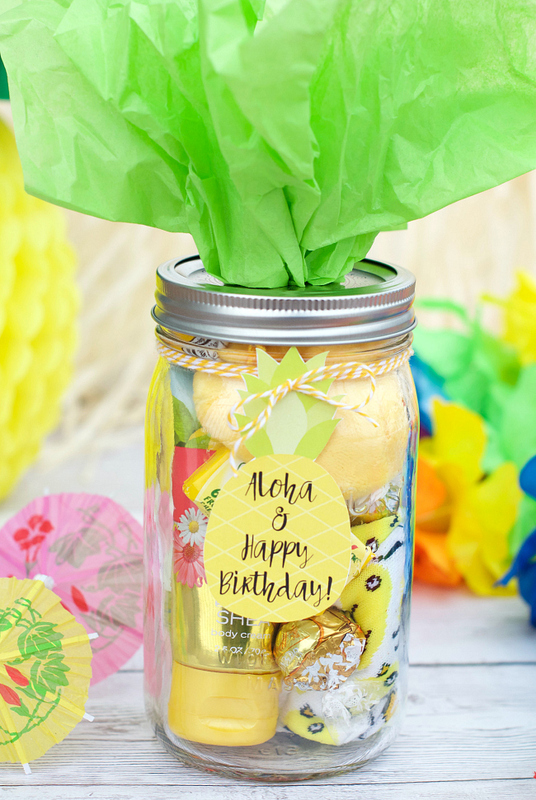 Simply load up on anything yellow and green, and when it’s all put together you have a bright pineapple inspired gift. This is for that friend who happens to have a love affair with a certain type of soda. This soda pop cake can be made with any flavor of soda, so if your friend has a “little” addiction to soda…go ahead and help her feed the addiction with this fun birthday cake. 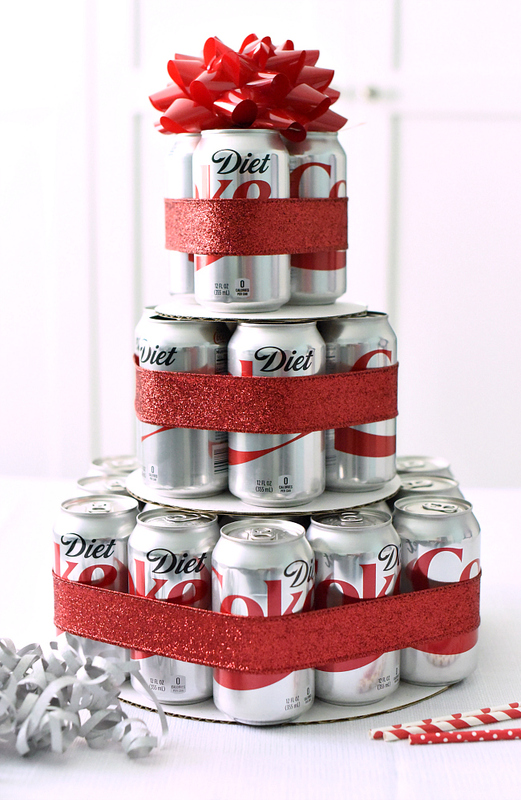 You could also decorate this “cake” with fun items your friend would love. 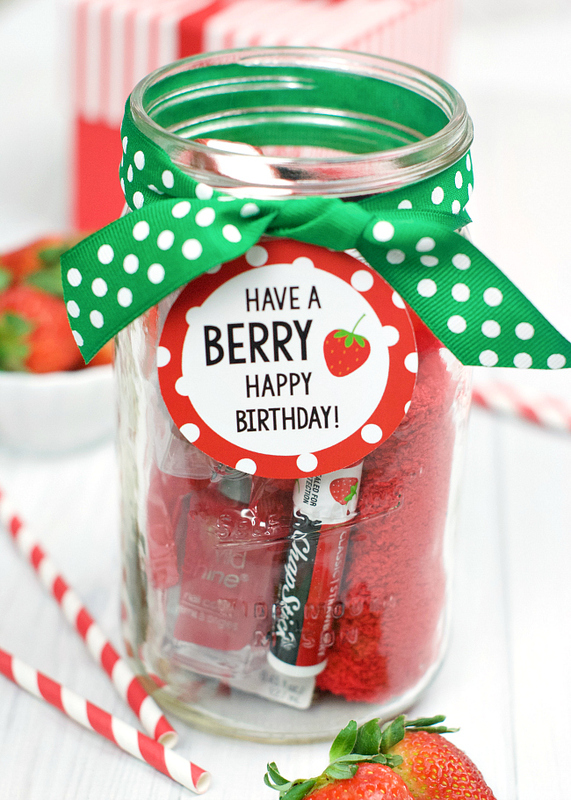 It’s berry fun to give birthday gifts this cute! 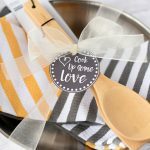 This is such a fun themed gift and perfect because you can customize it however you want. You’ll just want a lot of red items and then you can top it off with a touch of green. 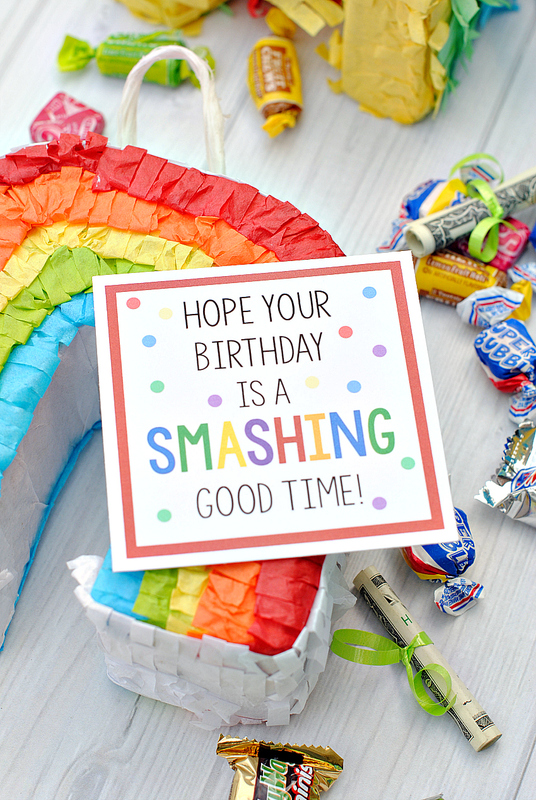 We love, love, love this piñata gift idea! Seriously, this is such a great birthday gift and so easy to put together. You can fill this piñata up with anything that will fit, making it so fun to give. We recommend keeping extra piñatas on hand for those times you need a go-to gift idea! 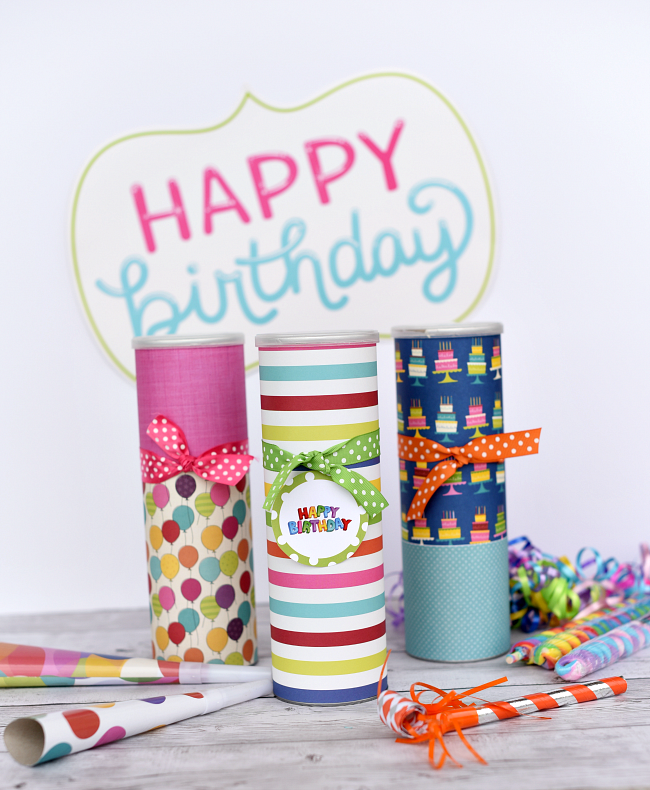 So many great birthday gifts to choose from, we hope you have so much fun deciding which one to give! Have FUN giving creative birthday gifts!! Thank you for putting this on here I was having. A stuff time getting a gift for my friend her birthday is July 17th and need something quick to make for her that’s awesome and that she would like. A November, December, January Birthday idea would be great! Love the creative gifts..